Don't forget to visit our booth at the fabulous Cooper-Young Festival this Saturday, September 17, from 9am-7pm. 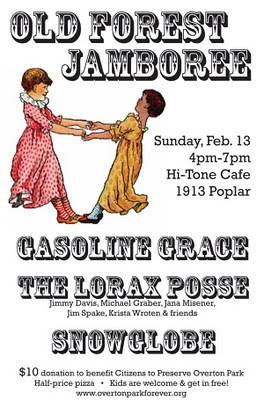 We'll be on the west side of Cooper near Felix. You can pick up a free sticker and help us celebrate the Old Forest State Natural Area by hugging the Old Forest Lorax. 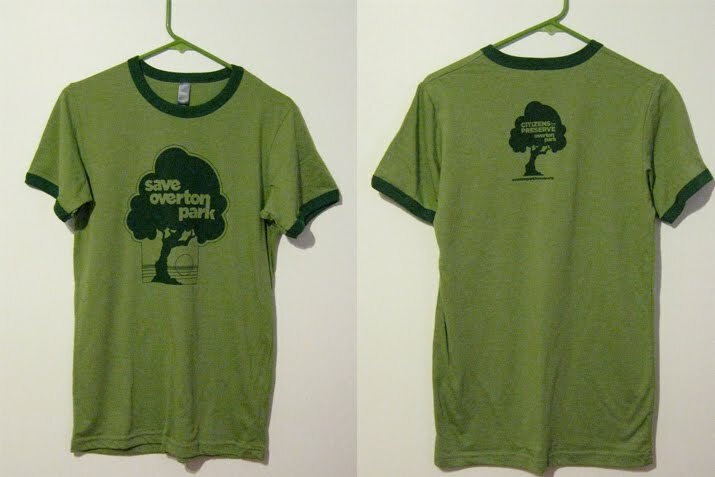 If you need our reprint of the 1960s CPOP tee -- as worn by the "little old ladies in tennis shoes" who defended Midtown from Interstate 40 -- we've got you covered. 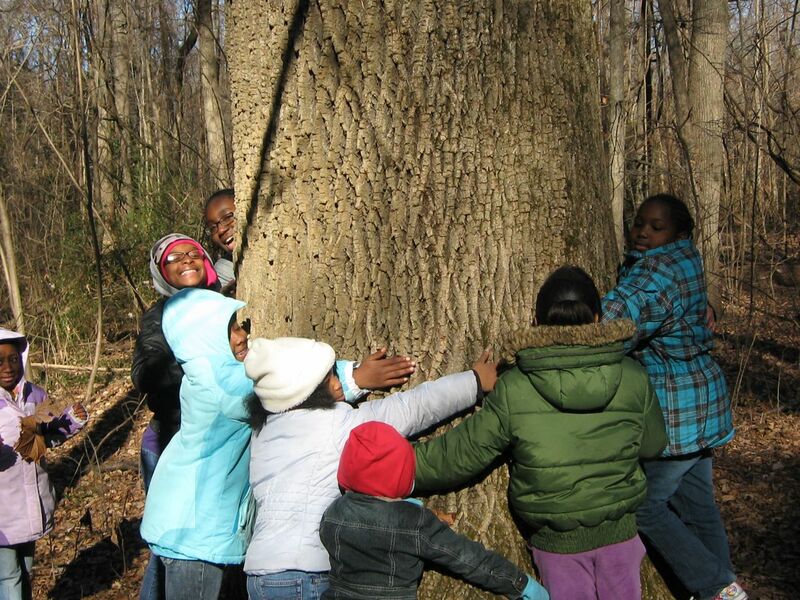 THANK YOU for supporting CPOP and making the Old Forest State Natural Area happen. 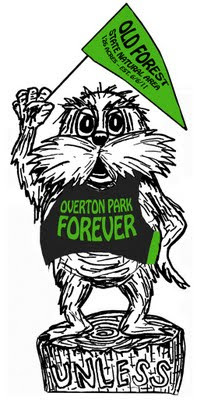 There's still plenty of work to do at Overton Park, but our wonderful Old Forest will never be clearcut again, because you stepped up to protect it. The pawpaws are ripe. North America's forgotten and largest native fruit now cover the understory of the Old Forest as the ripe pawpaws have begun falling from their branches to the forest floor, leaving a mild sweet-rotten smell in the air. 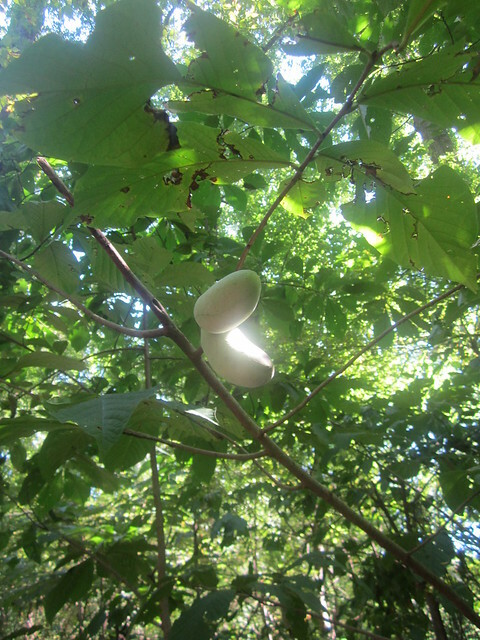 I took my very first taste of a pawpaw on the hike last Sunday. It was good, it was rich and it had the texture of custard. It's supposed to taste like mango but I've never tasted mango which puts me in a unique position to say that mango is supposed to taste like pawpaw. I'm not surprised that you don't see pawpaws, their irregular shape and creamy texture, in grocery stores. But as a featured flavor for liqueurs, beers, ice creams, sorbets, yogurts, chutneys, smoothies, breads, etc., it's long past time for the pawpaw to emerge from the darkness. 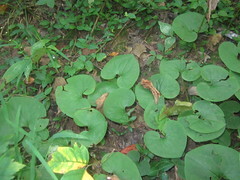 or wild ginger at your feet. Thanks to the fabulous Memphis Room of the Benjamin Hooks Central Library for giving all citizens free access to historical documents and a scanner. 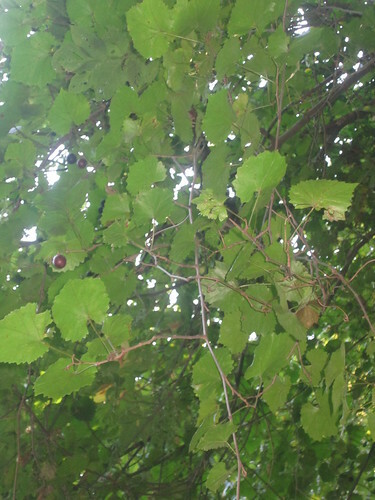 Click the images to biggify. Enjoy! 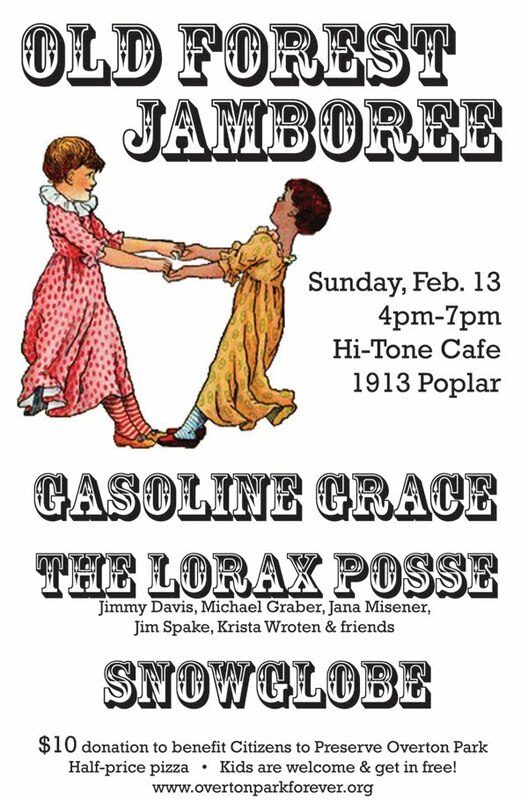 Saturday's public meeting got great media coverage from the Commercial Appeal and Memphis Daily News. 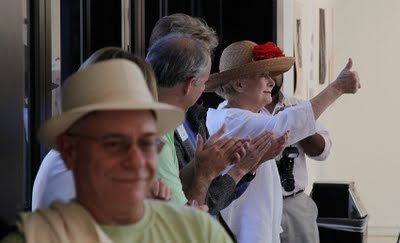 If you missed it, there's a second meeting tomorrow -- Tuesday, June 28, 5pm-7pm -- at the Memphis College of Art's Rust Hall, in the heart of Overton Park. Drop in to fill out the (short and sweet) Speak Up! survey and get an awesome free t-shirt, or take the survey online at overtonpark.org. 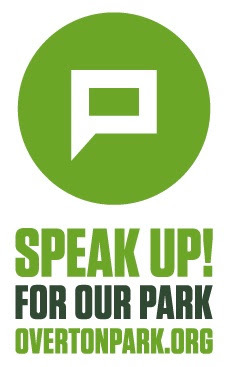 Our park needs your voice and your vision! 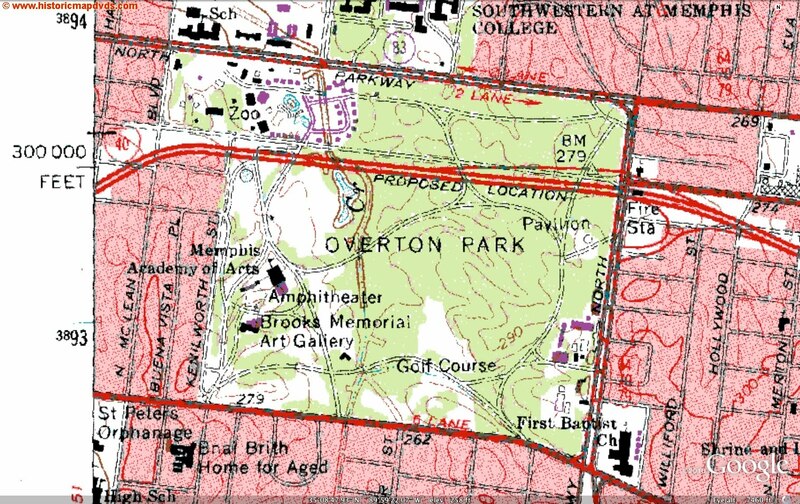 Share your vision for Overton Park's future by joining your neighbors at an open-house meeting: this Saturday, June 25, 10am-Noon, and next week Tuesday, June 28, 5pm-7pm, at the Memphis College of Art's Rust Hall. Visit overtonpark.org for more info. Governor Haslam has signed the Old Forest State Natural Area bill into law. It's official, people! Thanks again to the hundreds of awesome citizens and elected officials who made this happen, and most especially to Sen. Beverly Marrero and Rep. Jeanne Richardson for never giving up. 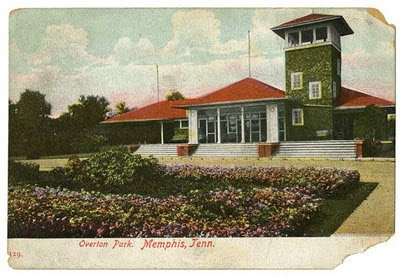 The lovely and talented archivists of the Memphis Public Library have assembled a great historical collection of Overton Park postcards. 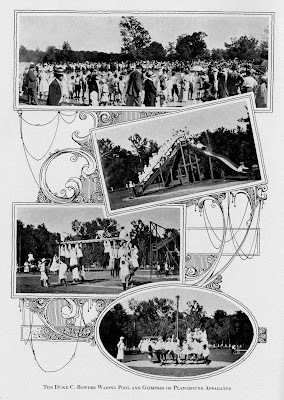 You may click on each of the below images for a closer view, or visit their blog to browse the whole collection. 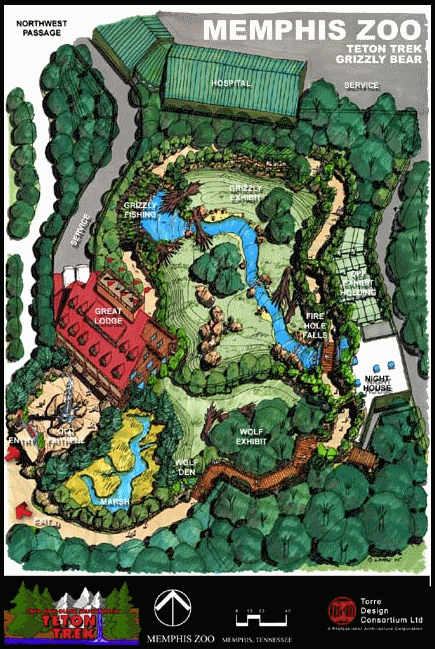 Let's rebuild this amazing playground/deathtrap! Our kids need more giant slides in their lives. 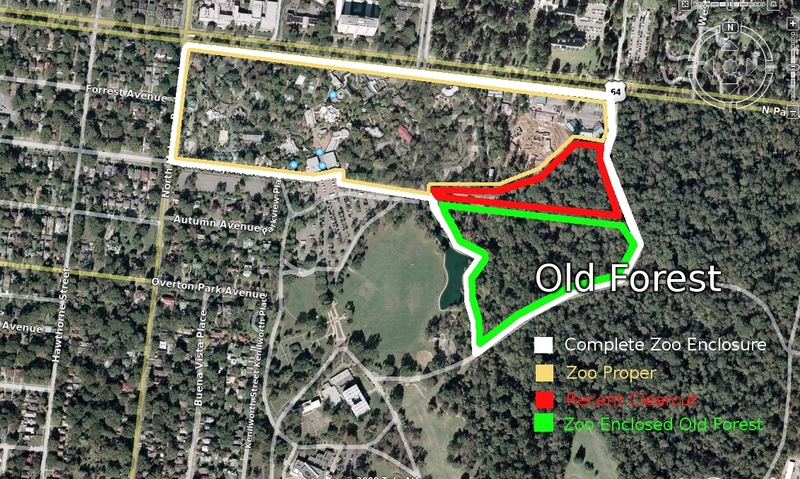 Several years ago, we collaborated with Memphis Park Services and Park Friends Inc. to nominate the Old Forest for the Tennessee Urban Forestry Council "Landmark Trees" registry, and TUFC said yes. It took a little while to make it to their website, but here it is! 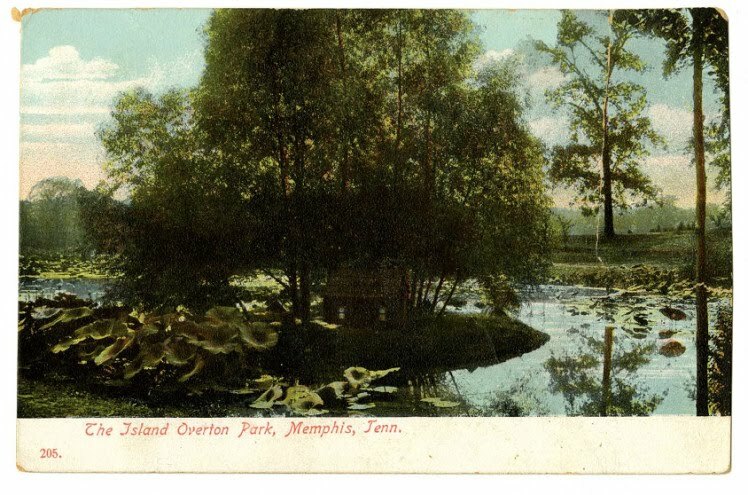 A true island of green surrounded by urban sprawl, the Old Forest of Overton Park stands within the city of Memphis and is a testament to the protection and preservation attitudes of a people. Once part of the old-growth virgin forest that formed Chickasaw Bluffs, "Lea's Woods" was at one time over 342 acres and was named for Overton and Ella Lea of Nashville. 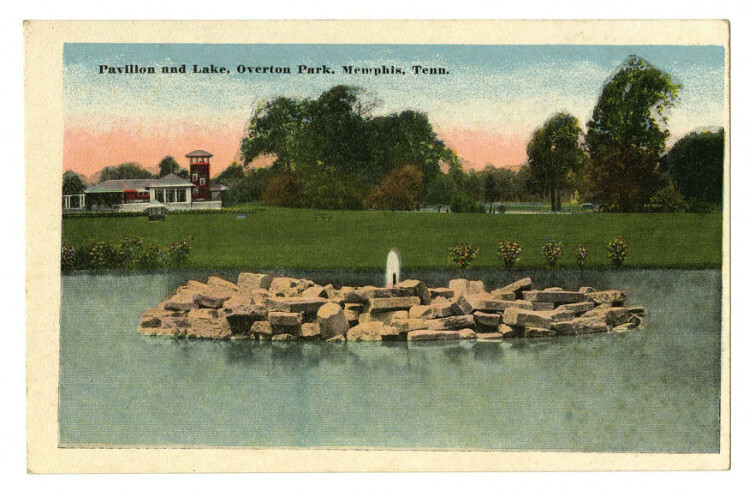 Overton Lea was a grandson of John Overton, the founder of Memphis in 1819 with Andrew Jackson and James Winchester. 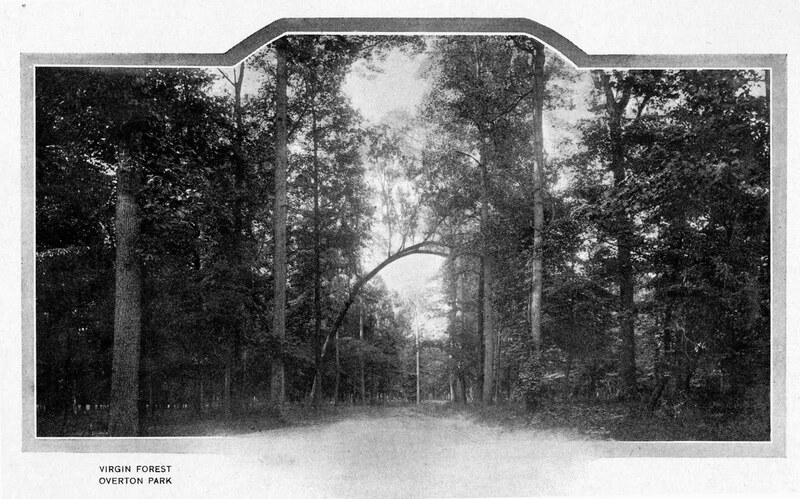 At the time Memphis acquired the tract for the public good in 1901, the Old Forest was 200 acres. 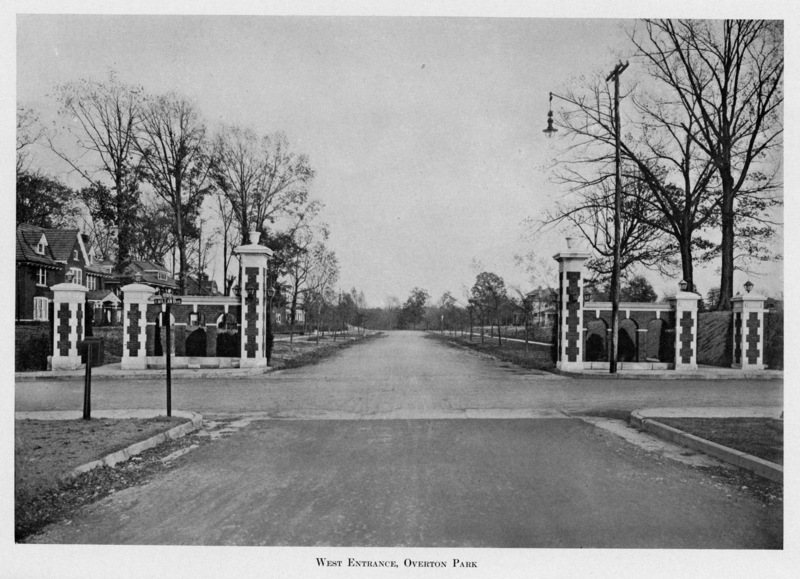 Overton Park was designed by the renowned landscape architect George E. Kessler and was listed on the National Historic Register in 1979. 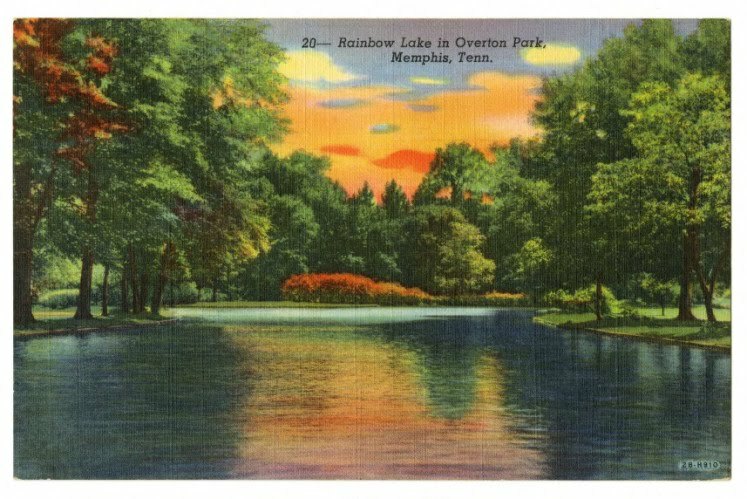 While Overton Park contains the Brooks Museum of Art, the Memphis College of Art, the Memphis Zoo, the Levitt Shell, Veteran's Plaza, the Greensward, two playgrounds and the Overton Park Golf Course, the Old Forest remains an oasis of natural ecosystems. 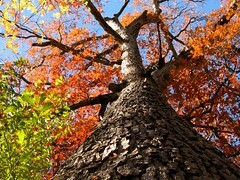 It contains more than 330 plant species, with some of the trees exceeding 200 years of age. Some 160 bird species have been also been found frequenting the forest. 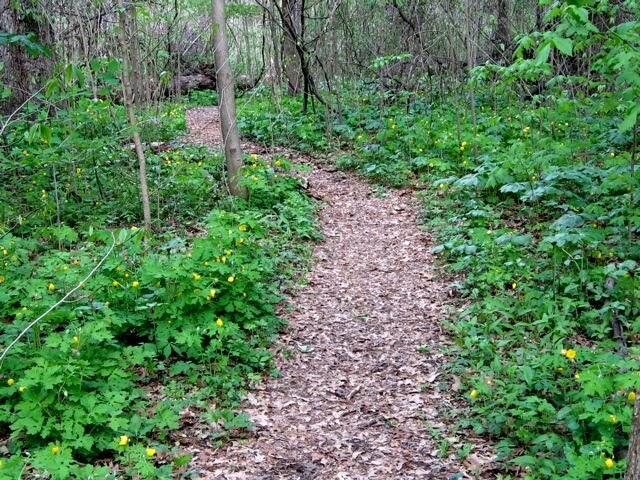 Public trails wind through the tract and guided nature walks are provided every month. 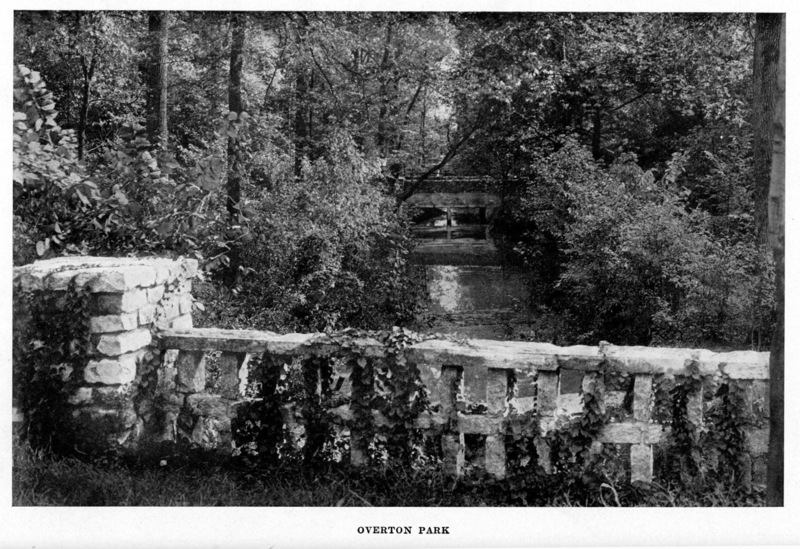 A network of citizen groups helps the city manage the Old Forest, including Citizens to Preserve Overton Park and Park Friends, Inc.
Overton Park also became nationally significant in 1971 for the U.S. Supreme Court ruling known as the Citizens to Preserve Overton Park v. Volpe, which pitted the Federal Highway Administration, which wanted to build Interstate 40 through the park, against local desires to maintain the natural ecosystem. After they lost two court cases, including in the 6th Circuit Court, the Citizens to Preserve Overton Park filed an emergency motion with the U.S. Supreme Court, and the result became a landmark administrative law case that has been cited in thousands of legal opinions across the nation. It was one of the few times that a non-profit organization won against a federal agency. 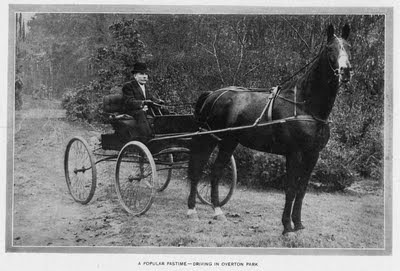 Although the Old Forest is now only 150 acres today, it remains a priceless resource for the community and the region. Thank you, Tennessee Urban Forestry Council! 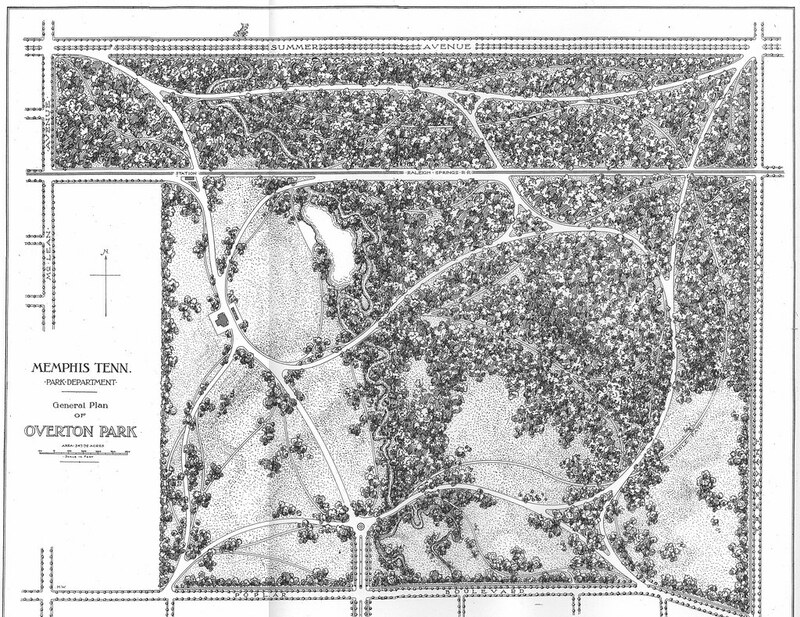 On March 2, 1971, the U.S. Supreme Court issued a final decision on Citizens to Preserve Overton Park v. Volpe. 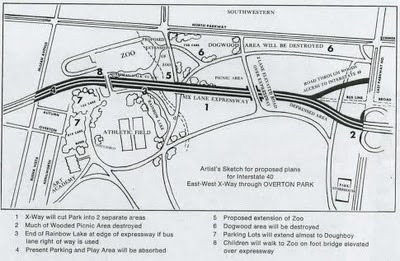 This ruling effectively prevented Interstate 40 from bisecting Overton Park and Midtown Memphis. It remains a landmark administrative law case that has been cited in thousands of legal opinions across the nation. But as important as this ruling was, and is, the protection it gave to Overton Park was limited to federal road projects. 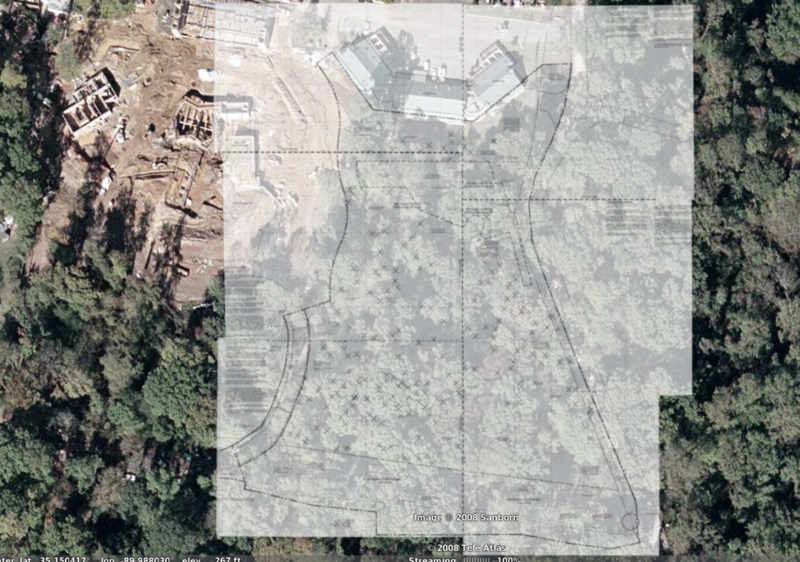 There is still no law that protects our city parkland from local bulldozers. 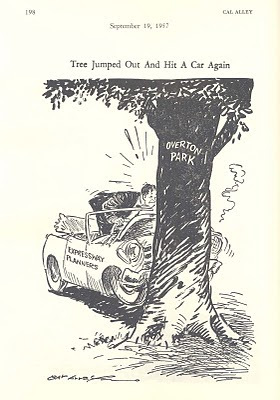 In 1956, the Federal Highway Administration and Memphis officials proposed the construction of Interstate 40 through Overton Park and adjacent neighborhoods in Midtown Memphis. A year later, a small group of Memphians banded together as Citizens to Preserve Overton Park (CPOP) to advocate against the proposed highway. 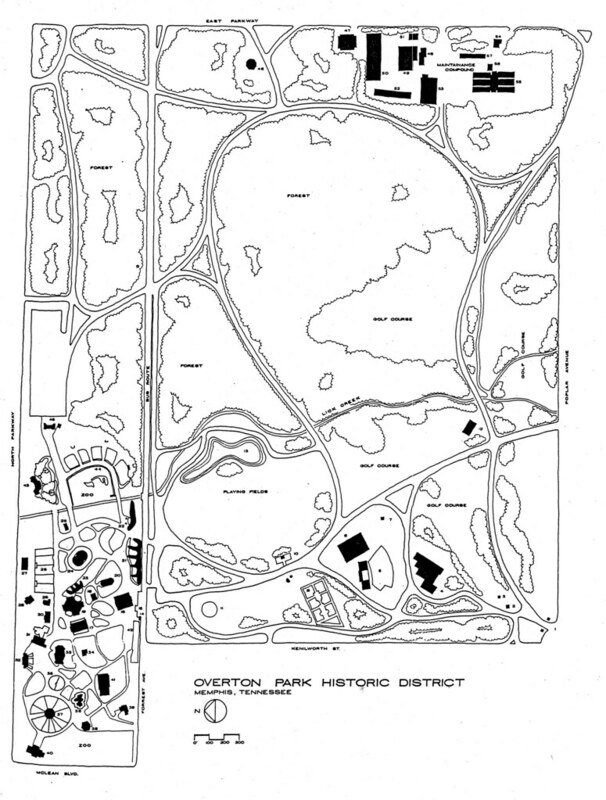 In 1969, the Tennessee Department of Transportation (TDOT) paid the City of Memphis $2 million for 26 acres of Overton Park and designated that land as Interstate 40 right-of-way. In December of 1969, CPOP filed a local lawsuit to stop the imminent construction of the highway through the park, claiming that the federal government had failed to comply with its own regulations on routing highways through public parkland. CPOP lost their suit and appealed to the 6th Circuit Court, where they lost again. 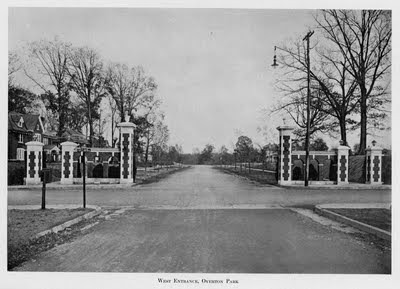 By this time, December of 1970, the right-of-way for Interstate 40 had been cleared to the borders of Overton Park and construction was proceeding on what is now Sam Cooper Boulevard. Hundreds of homes and businesses had been destroyed. 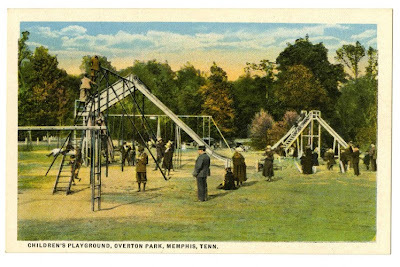 As the bulldozers approached the east side of Overton Park, CPOP made one last effort and filed an emergency motion with the US. Supreme Court to stop highway construction. This time CPOP won their case. The 1971 U.S. Supreme Court ruling forced the Federal Highway Administration and local authorities to follow a law -- Section 4(f) of the Department of Transportation Act of 1966 -- which required the study of all “feasible and prudent alternatives” to the use of public parkland for highway construction. Between 1971 and 1980, the City of Memphis and TDOT continued to propose a number of alternatives for Interstate 40 -- building a two-level tunnel, building a one-level tunnel, building the highway in a deep trench, etc. 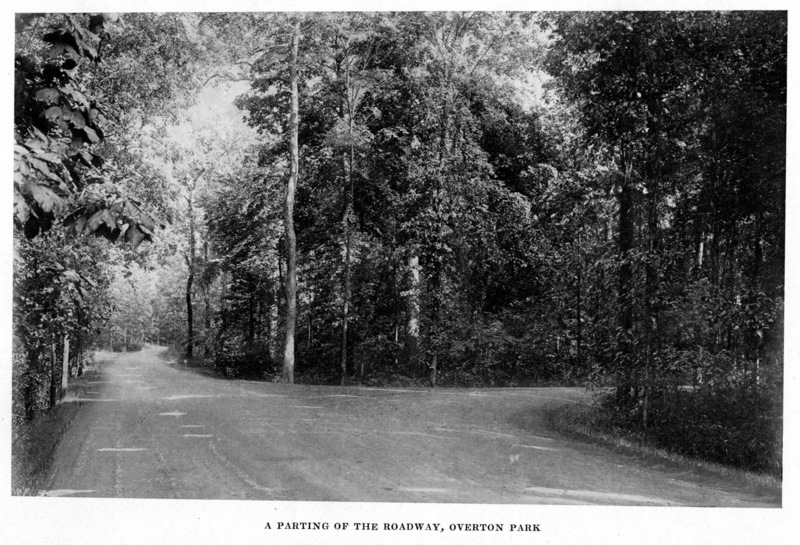 -- that all followed the same route through Overton Park. 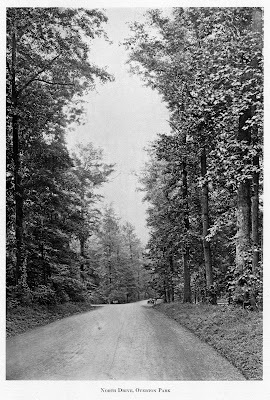 None of these alternatives were approved by the Federal Highway Administration. On January 26, 1981, TDOT finally removed the Midtown Memphis segment of Interstate 40 from the federal interstate highway plan. 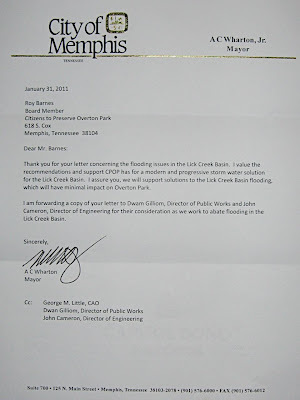 This decision was influenced by the cost of the proposed alternatives (estimated as high as $300 million) and by the construction of the Interstate 240 loop around Midtown Memphis, which provided a feasible alternative route. In 1987, the State of Tennessee deeded the 26 acres of Overton Park back to the City of Memphis. Overton Park remains the beloved centerpiece of the Memphis park system but it's still vulnerable to inappropriate development. 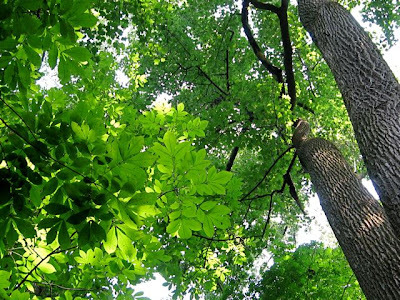 It is time for our community to provide lasting legal protection for the entire 342-acre park and to create the 150-acre Old Forest State Natural Area. 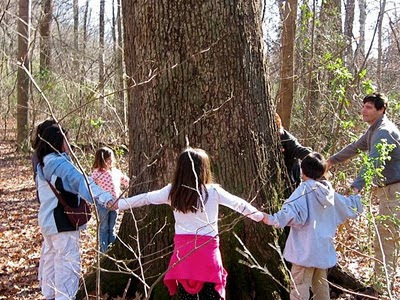 We owe it to the courageous people who stood up for our park forty years ago, and we owe it to our kids. 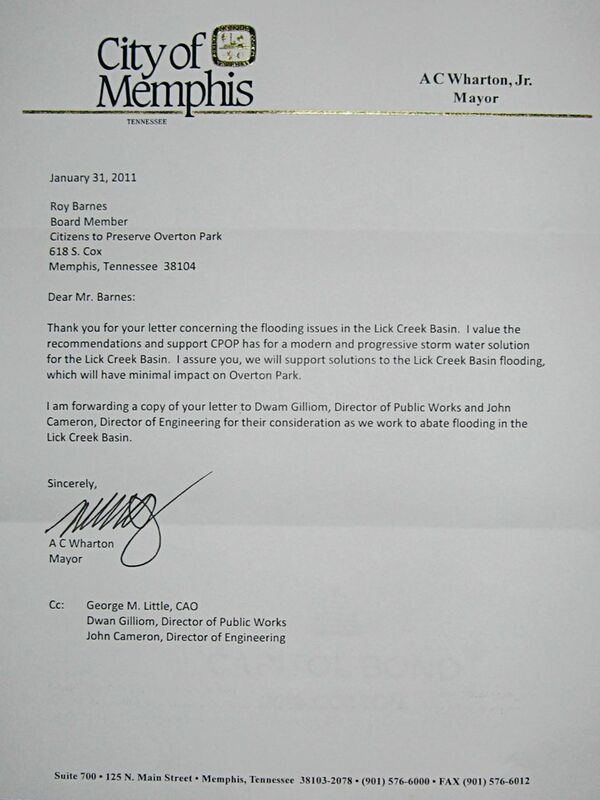 Mayor A. C. Wharton's response to CPOP's letter and comment for the new Lick Creek study. 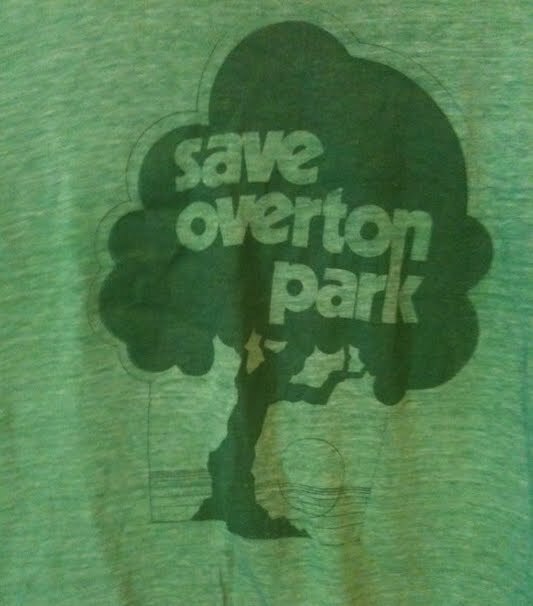 CPOP is a member of a new coalition of Overton Park supporters that is being organized by two prominent businessmen, George Cates and Gary Shorb, as reported in today's Commercial Appeal. George Cates has been walking, biking and golfing at Overton Park for about 40 years -- long enough, as he puts it, "to see it deteriorate." 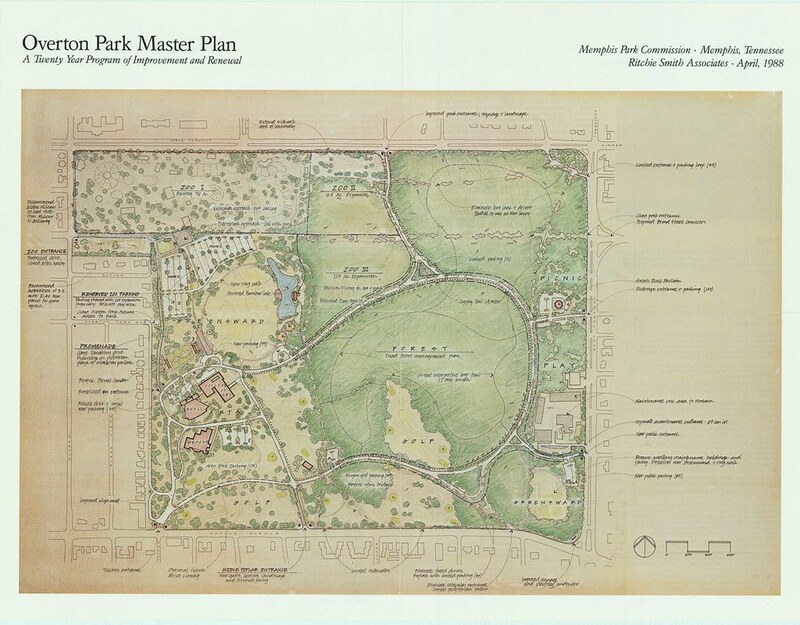 Now 73, Cates is taking initial steps to deal with what he views as the main threats to the 342-acre park in Midtown Memphis: inadequate maintenance and grass-mowing, litter, a steady encroachment into the old-growth forest and the lack of coordination among park users. The retired chairman and CEO of Mid-America Apartment Communities has helped organize a group comprising representatives of park-user groups and tenants. Although it doesn't have a name yet, the group is made up of citizens who all "want to see the park restored to its former glory or greatness and become a jewel in the city's crown, as it once was," he said. 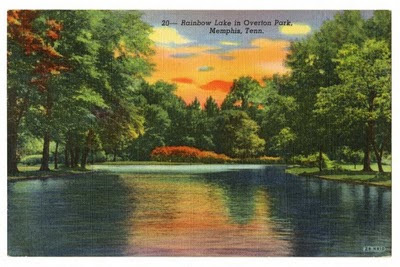 We look forward to working with a broader range of people to protect Overton Park's forest and open spaces, and to improve its built amenities.